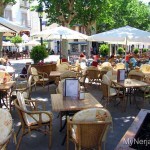 Set back from the road, with shady trees, benches, maybe a fountain and a cafe or two, Nerja’s squares (plazas) are where everybody goes to relax with a coffee, or just to sit on a bench and watch the world go by. 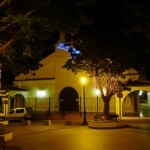 The best known of all the squares is the Balcon de Europa itself, lined with cafes and restaurants, the El Salvador church and of course its views out over the meditteranean. 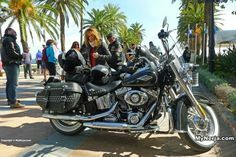 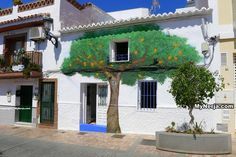 However there are many other plazas, big and small, in Nerja to explore and our guide will show you where they are and what they have to offer the visitor. 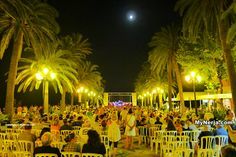 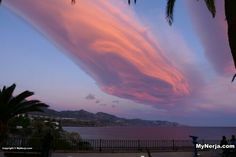 Plaza Cangrejos near to Torrecilla beach has entertainment every night during the summer months and Plaza de España (behind the town hall at the Balcon de Europa) hosts large events such as Residents Day as well as being the home to the Nerja Caves Museum. 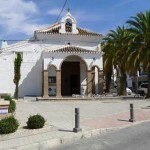 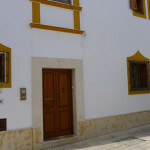 Smaller squares like Plaza Andalucia is hidden away in the back streets of the town and has little to offer other than a statue of Blas Infante. 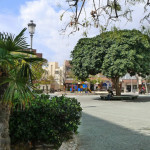 Plaza Cantarero at the top of town near to the bus station, has a fountain and a small cafe where you can have a coffee or a snack, sitting in the shade of the buganvillas. 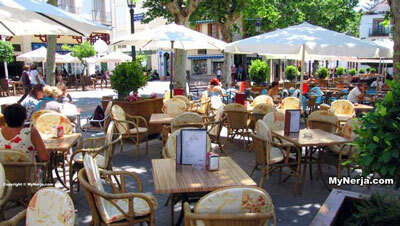 Plaza Cavana (pictured) is very a popular place to go for a leisurely drink or a meal and is crammed with tables from the local bars and restaurants that surround the square. 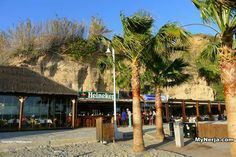 Plaza Tutti Frutti on the western side of Nerja is the centre of Nerja’s night life with bars open until the small hours and is a magnet for younger visitors who want to spend their days on the beach and their nights partying. 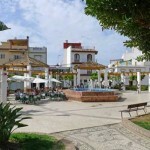 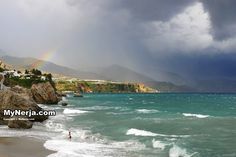 Click on the plazas shown below for more information, including a map showing how to find them in Nerja.